With an established network covering the entire United Kingdom, BMS SALVAGE has its roots firmly set in the ground and commands the most competitive prices paid for crash damaged cars, insurance write offs and repairable vehicles. We won’t only source the best prices paid for these cars, but we’ll make sure that once a price is quoted that you get the best customer service and support up to and past the day that your vehicle has been collected. We’ll ensure that payments are made in a safe method and that all relevant paperwork is processed efficiently. Selling your damaged car cannot be easier. If you are unfortunate enough to have landed yourself in the situation whereby a recent accident has rendered your car “uneconomical to repair” we can help. We have salvage buyers nationwide paying for crash damaged and salvage cars. The process is simple. Just fill in our online form with your vehicle details. It is important that you are as detailed as possible when it comes to the vehicle faults. If you have any photos then please upload them. We’ll make an assessment of your vehicles value based on CAP prices and any possible repair bills and give you a price straight away. If you are happy with the price then sell your damaged car to our buyers who will be looking to either strip your car for parts or to perform the repairs required to put the car back on the road. Because they can source parts cheap and have all the equipment required to rebuild your car, they can afford to pay more for your car than the average private buyer or garage. 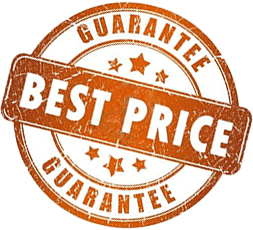 We are so confident of our buyers prices that we will happily match any other guaranteed genuine quotes. Has your vehicle failed its MOT? So, your car has got to the point whereby the yearly work required outweighs the value of your car. We will happily provide a quote for any MOT failure car. We’ll need the details of your car along with the MOT failure specifics. Our team will be able to consult our specialist buyers to obtain the highest price paid for your repairable vehicle. Why settle with a scrap car price if you can gain a little more in the repairable market. We will be able to ascertain whether your car is worth repairing or if it is ready to be crushed and recycled. Either way, we will find a buyer for the vehicle. Excellent service, the car was collected and money paid into my bank within an hour. The full amount was transferred as quoted. Quoted the best price and offered an excellent service, everyone I spoke to went above and beyond the make my experience as smooth as it could be, thank you. Outstanding customer service, very polite and patient. Helped me with any question that I had, would recommend definitely. Clear explanation of all paperwork involved, and they were all very helpful. Driver was really good and everything went really smoothly. Can’t fault the service, they were very professional and it was all quick and painless. I got a great price and it was in my account the same day they collected the vehicle. Thank you all very much. You get a great service from these guys, top price paid and collection was a piece of cake. Really would wholeheartedly recommend them all to anyone. Would be happy to use again if I ever need to. Very efficient team with good customer skills all round, was a little dubious at first but the whole thing was very easy. Payment was prompt and collection was easy and the driver was very good.